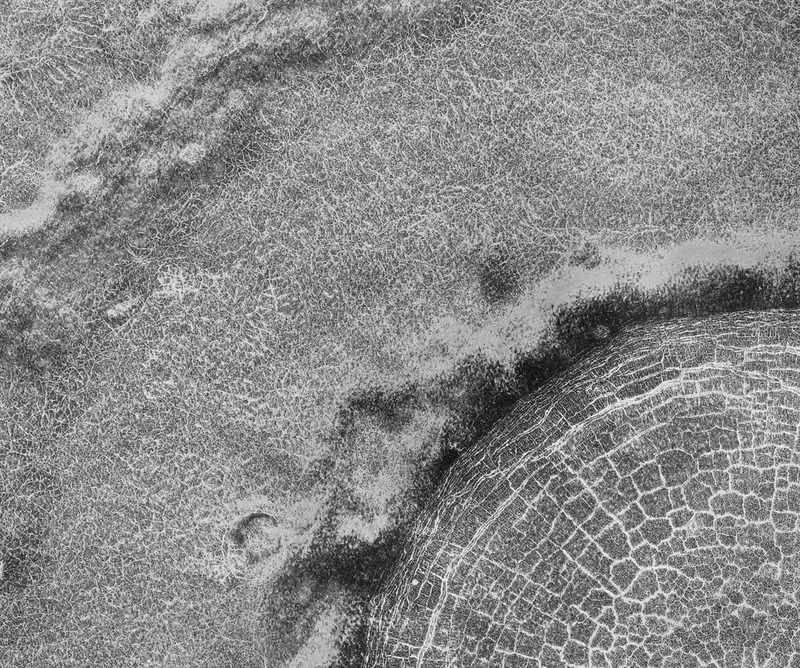 The arc of hills in this image is the rim of an old and infilled impact crater. 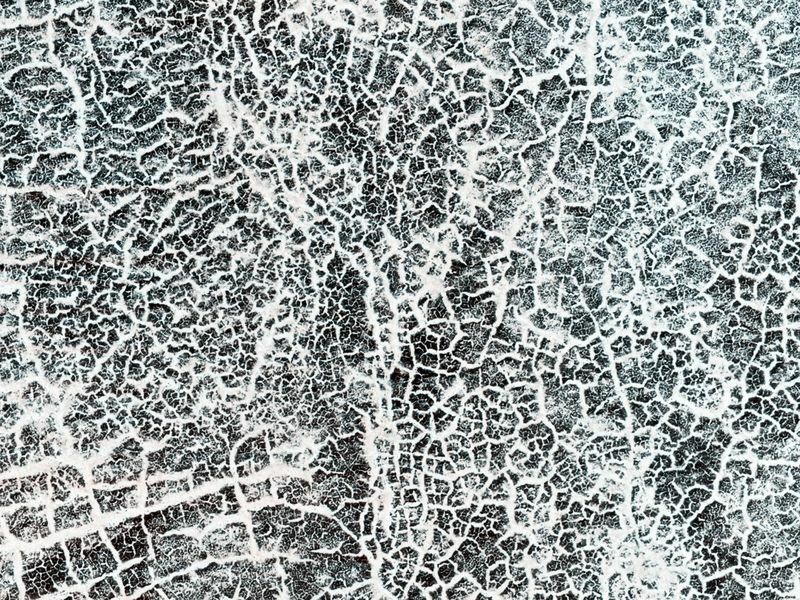 The sediments that were deposited within the crater have since formed polygonal cracks due to repeated cycles of freezing and thawing. The process of polygon formation is common at these polar latitudes, but polygons are not always as striking as they are here. 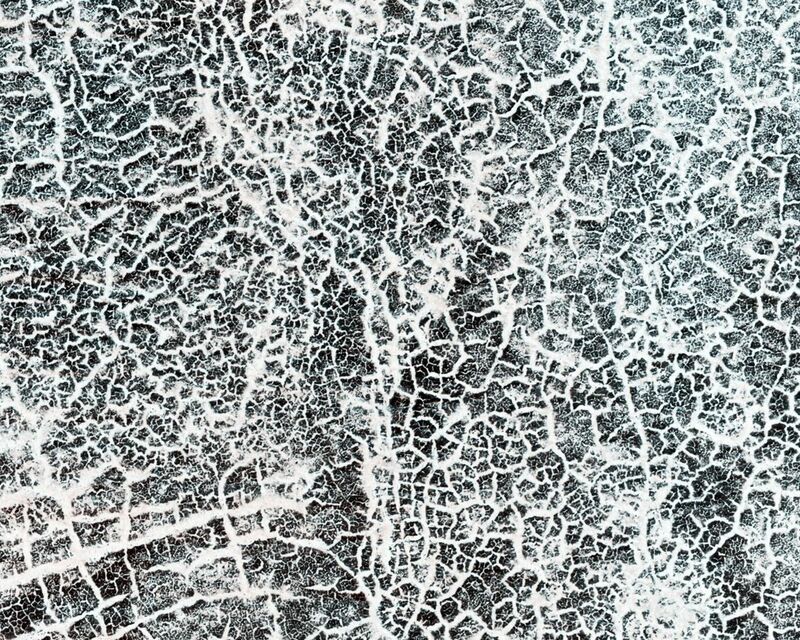 In this image, the polygons have been highlighted by persistent frost in the cracks. 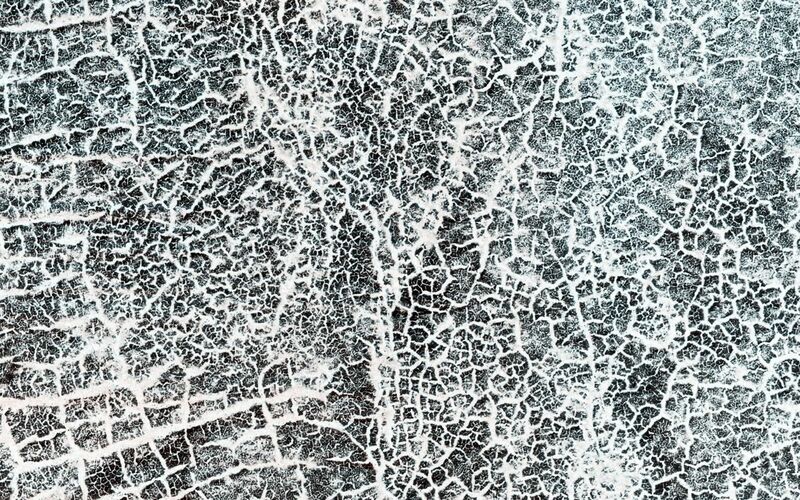 The crater rim constrains the polygon formation within the crater close to the rim, creating a spoke and ring pattern of cracks. 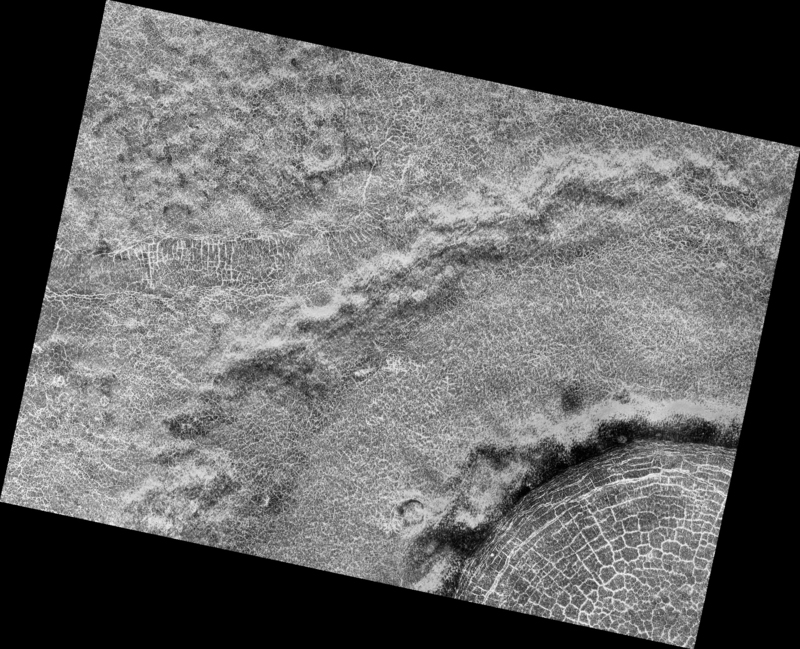 This leads to more rectangular polygons than those near the center of the crater. 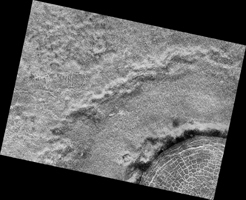 The polygons close to the center of the crater display a more typical pattern. A closer look shows some of these central polygons, which have smaller polygons within them, and smaller polygons within those smaller polygons, which makes for a natural fractal.